India Pale Ale (IPA) is the most popular style in the American craft beer scene. IPAs seem to be everywhere today, and their prevalence means there's a lot of information to unpack regarding these storied beers. Some newcomers think "IPA" and "craft beer" are synonyms, and some even think craft beer and IPA are two completely different things. What's what when it comes to this incredibly popular hoppy beer style, and what makes it unique? How do you tell all the sub-styles of IPA apart to know which ones you like and which you don't? In this upcoming class in our Craft Beer Education Series, we'll unravel the confusion surrounding the past and present of IPA, craft beer's most successful style. The Craft Beer Education Series is lead by Certified Cicerone David Nilsen. He will guide attendees through a tasting of five IPA variants, explaining the history and unique ingredients and brewing processes of each. 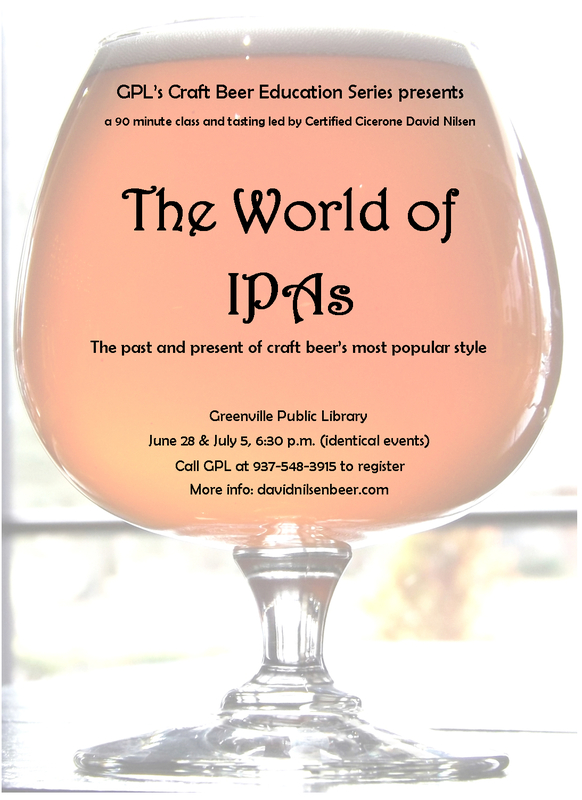 Craft Beer Education Series classes are free, but seats are limited and registration is required. This class is offered Thursday June 28th and again July 5th at 6:30. 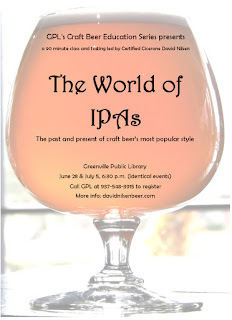 Please call the Greenville Public Library at 548-3915 to reserve your seat. We hope to see you there!